Developed specifically for turf care professionals looking to build healthy turf with a wide spectrum of macro- and micro-nutrients, growth factors and organic matter. Turf Formula is an environmentally-friendly fertilizer containing the perfect blend of nutrients for all your turf and soil needs. This product is a storehouse of over 60 major and minor chelated nutrients plus amino acids. 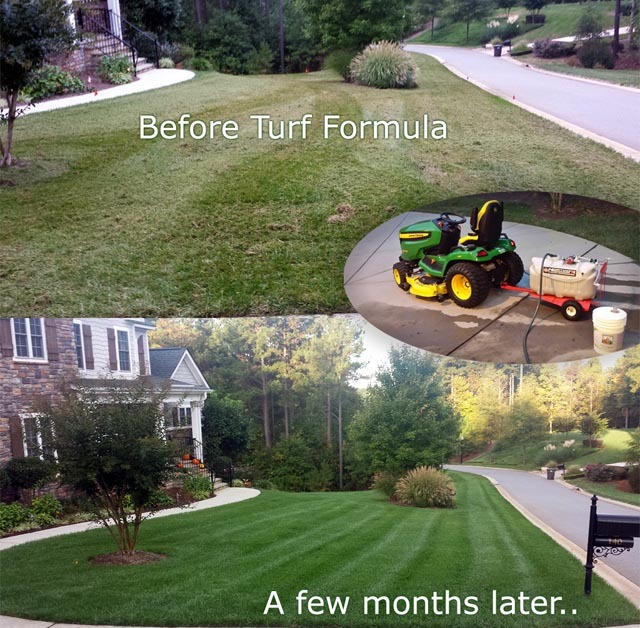 Turf Formula can be used on all grass types and all turf situations, as well as for landscaping to treat all plants, trees and shrubs. Turf Formula increases nutrient efficiency, helps soils retain water, builds root mass and organic matter and stimulates beneficial microbial activity. 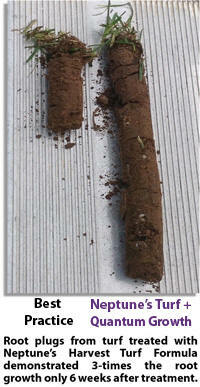 All this while decreasing the costs of other inputs such as nitrogen and phosphorous-based fertilizers and pesticides. Turf Formula will provide necessary nutrients for tolerating environmental conditions such as high temperature and drought, while offering plenty of macro- and micro-nutrients for improved vigor, color, turf thickness, turf health, and root-density. Golf course superintendents and landscapers across the country have been using Turf Formula for years with great success (see photo to the right). This novel formulation is flexible enough to be mixed with other liquid inputs, eliminating the need for separate applications. Results can often be seen within days or weeks. Go green, save money, get better results! 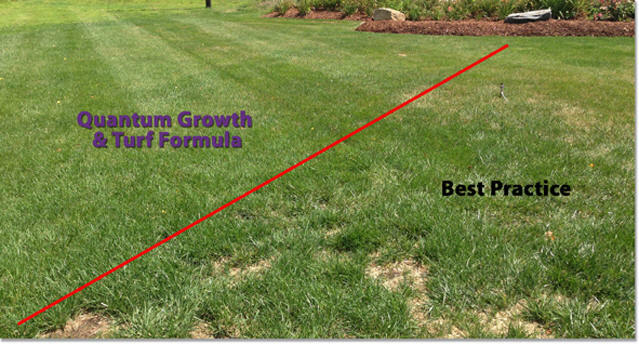 Who Should Use Turf Formula? 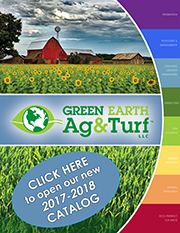 Use Neptune's Harvest Turf Formula at a general rate of 2 gallons per acre (6 ounces per 1,000 square feet), 2 to 3 times per year. For the best and most complete turf program and results, mix Neptune's Harvest Turf Formula with 3 ounces per 1,000 square feet of Quantum Growth or MicrobeLife Probiotics (see above turf picture for results).